"Why don't you write comics anymore?" I get asked this a lot, so much so that it made sense to me to post something about it. At some point I was no longer a writer. I had, somehow, become a black writer. This perplexed me, considering that, back in the halcyon 80’s, where Marvel was a hotbed of scathing, litigiously un-PC sexism and racism (reference: Rescue Me's potty-mouthed fire house), I was never seen as a “black” writer. I competed with everybody else, with guys who had much more experience than I, and did the grunt work and odd jobs just like anybody else. Nobody at DC hired me to reboot Green Lantern in Emerald Dawn because I was a black guy, and Fabian Nicieza seemed to not notice or care about my skin color when he approached me to dream up a Power Man/Iron Fist-esque buddy book for his startup imprint Acclaim. Pre-Milestone, the subject just didn't come up. Which isn't to suggest racism did not exist, it surely did, but that, for the most part, my race had nothing to do with the assignments given me (or not as the case may be). Somewhere along the way, Marvel became much more PC and I became inexplicably much blacker. I was approached by DC to take over Steel, after Dwayne McDuffie turned the assignment down, because, as I was told, the editor wanted a fresh take on the series and, by inference, a perhaps more authentic urban (née black) voice. I wasn’t all that concerned that Louise Simonson’s Steel was in any way inauthentic, and my Steel wasn’t any “blacker” than hers. John Henry Irons was an egghead. It would be wrong for him to suddenly start talking like Sam “Snap” Wilson or Luke Cage. The whole race thing didn’t interest me nearly as much as the idea of doing a kind of Life of Brian take on Superman, creating a wicked satire of the superhero genre. Steel was a dysfunctional Superman living in a dysfunctional Metropolis (Jersey City), facing a warped, dysfunctional Lex Luthor (Irons’ boss, Dr. Villain—“it’s WILL-hayne. It’s French.”), courting a dysfunctional Lois Lane (Dr. Amanda Quick, Irons’ love interest), and dealing with a dysfunctional Jimmy Olsen (Irons’ niece, Natasha). base his interpretation of Irons on Dwayne McDuffie. Once I saw the images, I instantly knew who Irons was. He was Dwayne. Perhaps a little stiffer than Dwayne, but hand to God I was writing Dwayne McDuffie and Denys was drawing him. 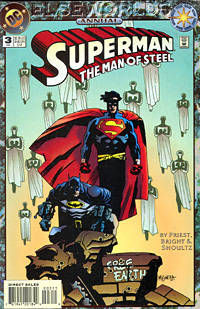 Steel was a book virtually everyone at DC ignored, not because he was black but because he wasn’t selling. Denys and I got away with unfathomable things in that book which, month after month, took sharp aim not only at the superhero genre but, frankly, at the fans themselves. Almost nobody noticed—not the company, not the fans. It was Steel. Who cares. But I do think, post-Milestone, the industry began seeing more things in terms of race. Between Steel and Black Panther, I somehow transitioned from being a writer to being a black writer. Steel was, I believe, the first time a company had approached me for the specific stated purpose of hiring a “black" writer. I failed miserably at that task. My Steel was certainly no blacker than Louise’s, but the perception was such because of my ethnicity. Post-Panther, Tom Brevoort and I developed a terrific urban mutli-ethnic book called The Crew. The book was slammed by fans before a single page had been seen. It was slammed for its premise, “The Black Avengers,” with terribly racist posts going up about how “ghettoed out” some fans were, and how this was somehow Marvel’s attempt at Milestone. Making matters worse, The Crew was launched amid a huge promotion for a group launch of books which failed miserably. The Crew was cancelled before the first issue went on sale, which was incredibly demoralizing considering how hard it was in those days simply to get a project approved: months of very hard work and a terrific book that wasn’t given any chance at all. Captain America & The Falcon followed that, with fan favorite artist Bart Sears on board, which felt like a return to mainstream for me. I was back to being a writer, as opposed to a black writer. I looked for a new dynamic between these old friends and found one in echoing Paul McCartney and John Lennon’s balance of optimism and cynicism, It’s getting better all the time… It couldn’t get no worse. The conniving, streetwise Falcon routinely (and surreptitiously) running off the reservation, cutting ethical corners the straight-arrow Cap never would. Only, Sears torpedoed the optically complex opening arc by drawing beautiful pictures that had little to do with the story, making the book a confusing and difficult read. Joe Bennett came to the rescue with issue #5, but the fans left with Sears and CAF was dragged under in the wake of Captain America’s transition from Marvel Knights back to mainstream Marvel. 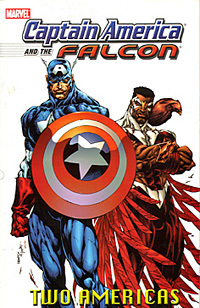 The decision was made to remove Captain America from the book and continue with my unique take on The Falcon, a logical (and I believe completely colorblind) move as the Falcon character was where most of the series’ voltage was. But it felt like a demotion, sent back to triple-A. Priest can’t cut it with mainstream characters. Love & Ethics:: Captain America struggles with both in CAF #7. 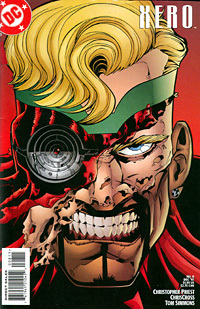 I loved putting Cap into moral and ethical dilemmas. He has nown the Scarlet Witch since she was a teenager, and, technically, Cap is around 70 years old. This would have been a lot of fun to run out the conflicts on, but with the looming Avengers reboot I was asked to make this go away. Click to read entire scene. I agreed to do Falcon if I could concurrently work on a more “mainstream” book, something with white characters. I told Tom I needed “career ballast,” that I was now being approached fairly exclusively to handle black and minority characters. Tom had no issues with that and was interested in whatever ideas I had. I pitched a miniseries featuring an all-female cast, a kind of Female Avengers pilot, which Tom liked. The project was handed off to another editor and, as things happen, the creative direction just never clicked. It was rewrite after rewrite after plot conference after plot conference, and the inertia wore me out. The Crew debacle was also rattling in my head: months of development work and Marvel folds the book in with some unrelated promotion which fails, canceling nearly the entire line of new launches, including The Crew. I never got the last project through development. The hill was too steep, the rock too heavy and, frankly, I thought the development process was counterintuitive. Beating a writer’s brains out for six months over a four-issue mini just feels passive aggressive. Just say, “No, we don’t want this.” Don’t just keep grinding away. Without the “career ballast,” I did not make myself available for Falcon, and although Marvel was willing to go a few more rounds with CAF, I asked Tom to pull the plug with #14, and went off to write a trio of Green Lantern novels for DC. I won’t write pitches for comics anymore. Hire me, don’t hire me, but I won’t go through that ridiculous process anymore. What publishers should do is hire the guy, the way movies hire a guy, and pay him while he’s in the development process. Don’t lead him around by his nose, don’t steal his ideas and run with somebody else—both of which have happened to me. If you believe in a creative talent, invest in him. We Want You. We Want You To Come Up With An Idea And We’ll Pay Your Rent While You Do It. I’ve been out of the loop so long, I don’t know if that actually happens, but it should. There are two instant “yes”-es in my vocabulary: Batman and Iron Man. Yes. Without question. That’s the smallest piece of fanboy remaining in me. But that’s had 30 years to happen and it hasn’t thus far. Beyond that, I’ve said, repeatedly, that if a publisher wants to get real and offer me a gig—not an opportunity to run in circles and then jam me—I’d look at it. Flash, Green Lantern, Thor, Deadpool. But if my name only comes to mind when looking for a writer to helm The New Black Mambo, thanks but no thanks. It really won’t bother me to never write comics again. That’s not a choice I’ve made, but I have made a choice to be a writer, not a black writer. I am more than busy doing work that actually matters—feeding the hungry, comforting the lowly, preaching the Good News. Doesn’t pay nearly as well, but the gig comes with amazing fringe benefits. Clip From Rescue Me Copyright © 2011 Sony Pictures Television. Images Copyright © 2011 DC Comics and Marvel Entertainment. Text Copyright © 2011 Lamercie Park. All Rights Reserved. In its most basic definition, any Captain America comic book must be a reaffirmation of our beliefs. It is a feel-good comic book, and a character who allows us to see the very best in ourselves. If I can achieve that, in any measurable sense, then maybe I get to stop being a black writer and get to be a writer again. I am terribly concerned about being so closely identified with black characters. It's not that I don't like Sam, but I want to write Tony Stark. I want to write Clark Kent. I want to be a guy, a real guy, a regular guy without any pronouns or adjectives. Blank Guy. Blank Writer. I really had to think about this, and I dragged my feet for weeks and then months as Tom nudged me about deadlines and so forth. Writing Sam, for me, is the easy part. It's the joy part. I know him like he's my cousin Fred, and in the intervening two decades since he was exclusively my character, almost nothing of any consequence has been done with him. THE FALCON #1 was my first published comics work, back in 1982. The book was by two newcomers named Jim Owsley and Paul Smith. But, while the staffers passed around Paul's amazing pencil work, the pencil work was unlettered. And the mindset of the day was, if some kid assistant wrote it, how good could it possibly be? So Paul was immediately picked up for other things, and I was ignored, to be here, 22 years later, still looking for that big break and back home again with Sam Wilson. So here we are, Sam and I, back together again. And it's terribly easy. so easy that Sam threatens to upstage Steve, which exposes me to accusations that the "black" writer would, of course, favor Sam to Steve. So Sam gets pushed into the background a little for the opening business. We meet Sam at a place where the fans are accustomed to seeing him-- as Cap's subordinate. As a sidekick who exists in one-dimensional periphery to the book's star. And we evolve him from that into the New Deal, into being Cap's equal. But I can't just tell you Sam is Cap's equal, Sam's got to earn it, on-stage. Sam's got to sell that business. The foundation of the book is the unshakeable friendship between these two men. The friendship is non-negotiable and the trust between them is implicit, despite the rather damming evidence that, in issue #1, The Falcon has violated National Security, and the government has given Cap just 24 hours to bring Falcon in before they go after Falcon with guns blazing. If you use the trust these two men have as a compass, it makes negotiating the many twists and turns of "Two Americas," CAF's inaugural story arc, much easier.